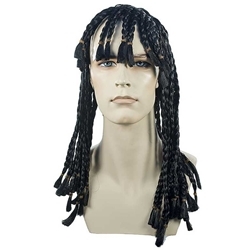 Braided dreadlock wig without beads. The braided dreadlock is a unisex wig. This wig makes a nice Stevie Wonder or Bo Derek.